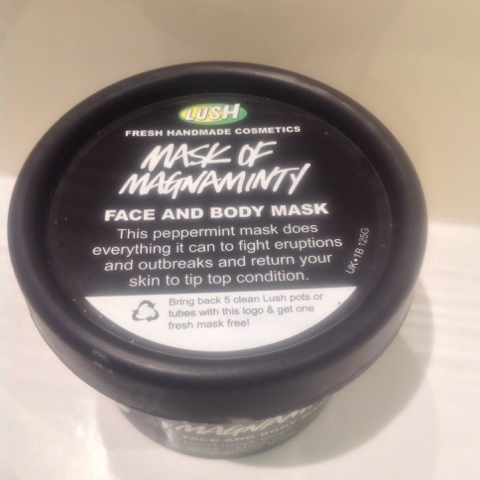 I've been on the lookout for the perfect face mask for a while now, and I recently picked up the Mask of Magnaminty face mask made from one of my favourite ever brands, LUSH! 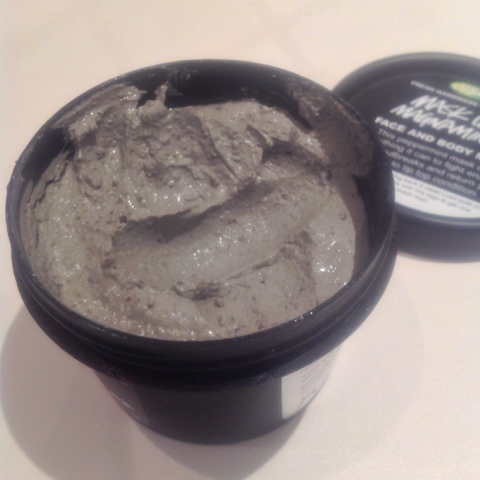 I've heard such good reviews about LUSH's face masks, and this one seemed to be the most popular! After using it twice, I now know why it's been rated so highly! Unlike most other drugstore face masks, the product is very thick in consistency, so you don't have to use much product to cover your face! This means that you can get a lot of use out of one tub, and you don't have to worry too often about repurchasing. The texture is also quite lumpy due to the ground aduki beans, so this works as an exfoliant when it's scrubbed off the skin! After washing mine off, my skin felt refreshed and smooth, and my skin was also a lot clearer the morning after! LUSh recommend leaving the mask on for about 5-10 minutes. I left mine on for about 15 minutes, but I wouldn't recommend leaving it on any longer as my skin became very tight. As the product is so thick, you will need to use a flannel to remove all of it, but this ensures that the skin is exfoliated well which is a bonus! The product comes in two sizes - 125g and 315g. As LUSH have 'use by' dates on all of their products to ensure that all of the products work to their fullest, I would recommend using the 125g, as you can get several masks out of one pot. You only need to use the mask 1-2 times a week maximum, so getting the 315g may mean throwing away excess product once it's surpassed it's use by date. Despite this, I've used LUSH products after the 'use by' date before and they've worked just as well, so it's your decision!